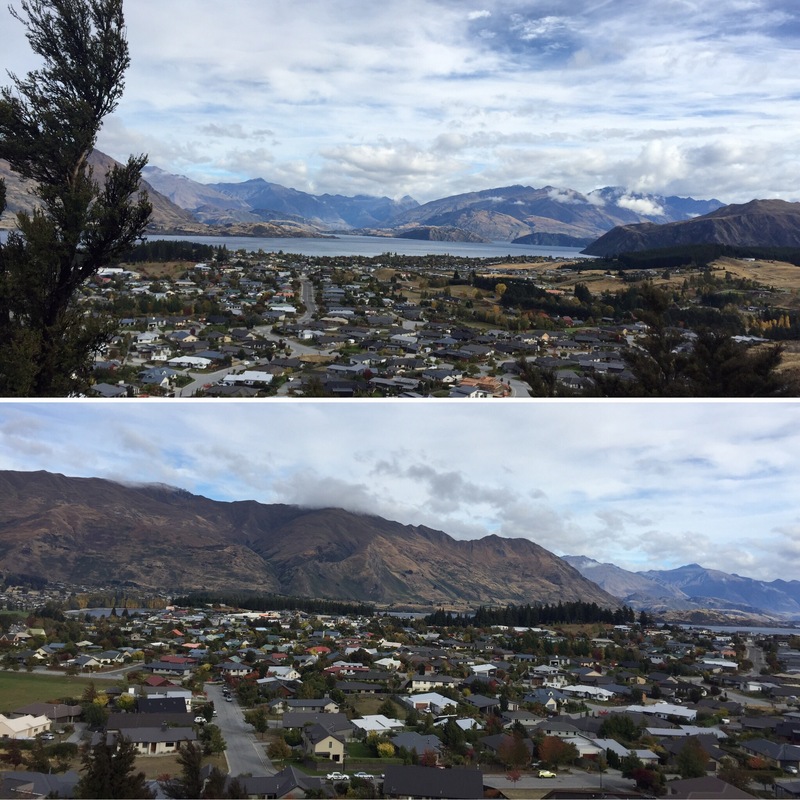 On the 14th April 2017 (Good Friday), we arrived in Wanaka which was our penultimate stop with our current bus group. We would all be parting ways in Queenstown and so were making the most of the time we had together until then. 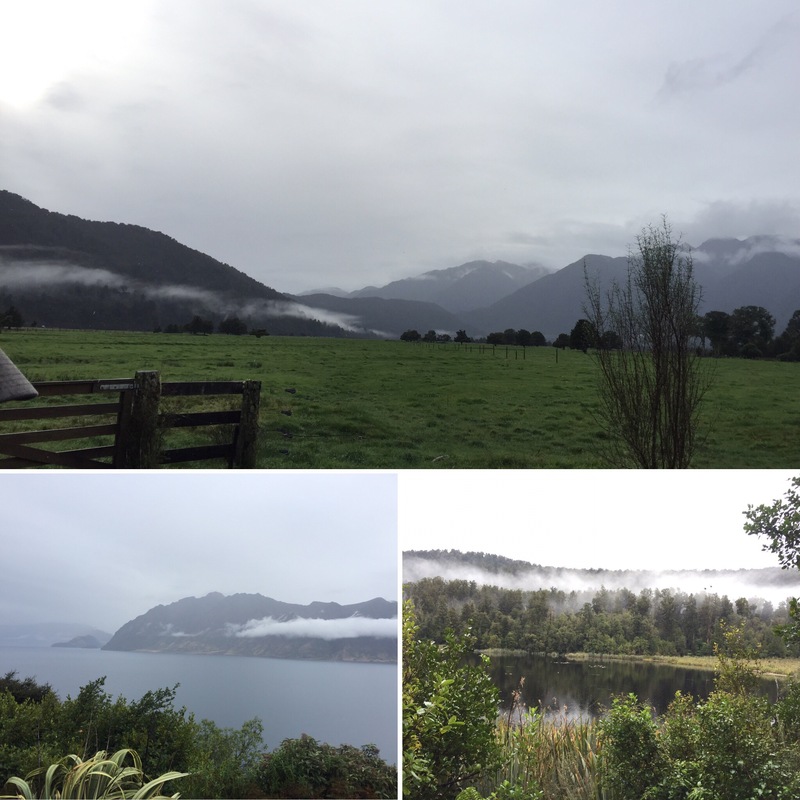 The bus to Wanaka left early from Franz Josef and it was raining again – we weren’t enjoying that recurring part of our trip so much! We were all very tired from the last few days of late nights and early mornings and so it was a sleepy start to the day. 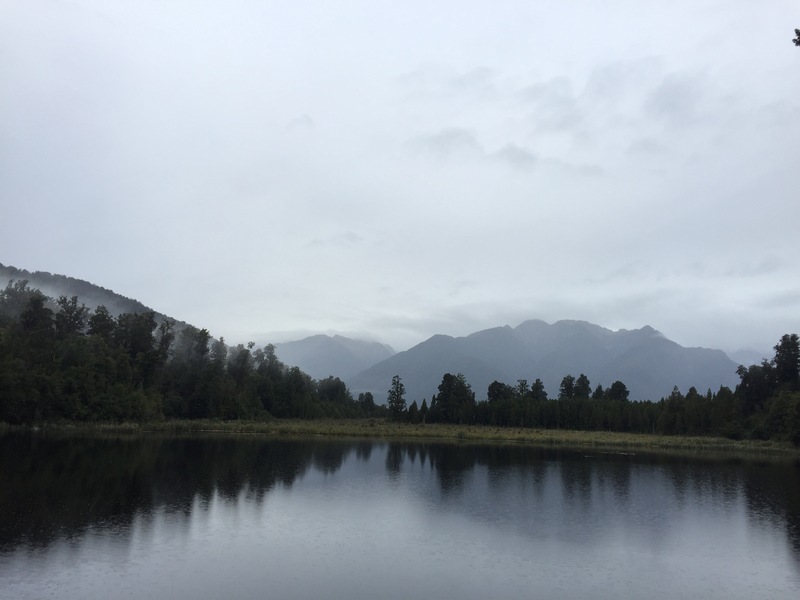 Our first stop of the day was to Lake Matheson. We had heard good things about this lake; how it was nicknamed the mirror lake and that it would show us spectacular reflections of the mountains ranges. Unfortunately for us, due to the rain and clouds that seemed to be following us like a bad smell, we didn’t get to see that. The clouds stopped the lake being as reflective as it should have been. 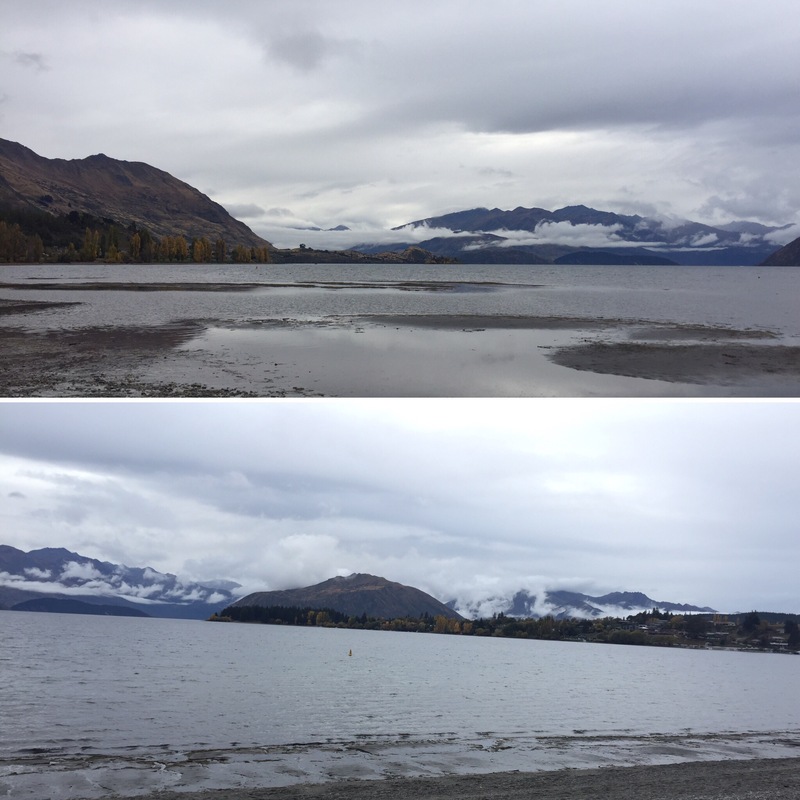 Was still pretty with the mountains but nothing compare to pictures we had seen or even Lake Rotoiti that we had been to earlier in our journey. Our next stop on our long journey to Wanaka – in which all of us fell asleep at some point or another along the way – was Thunder Creek Falls. This was a really tall, thin set of falls that are set into a grassy, leafy cliff face. 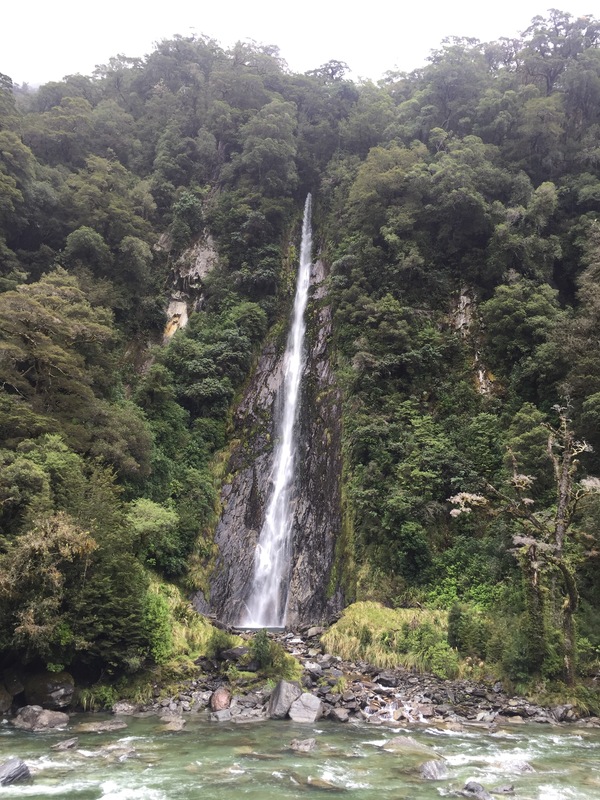 The waterfall is 96 metres tall and is pretty spectacular in that it is a huge body of water despite being so narrow – I don’t think I’ve seen such a narrow falls that spans such a great height before. We only did a quick stop off here but I’m glad we got to see it. 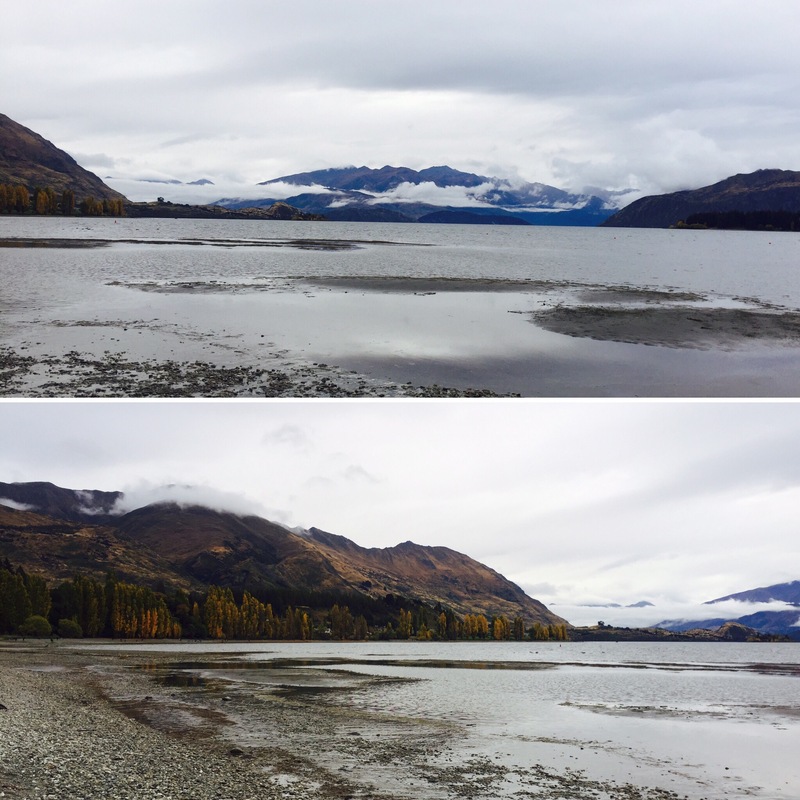 We arrived in Wanaka in the late afternoon, having spent the majority of the day on the bus. 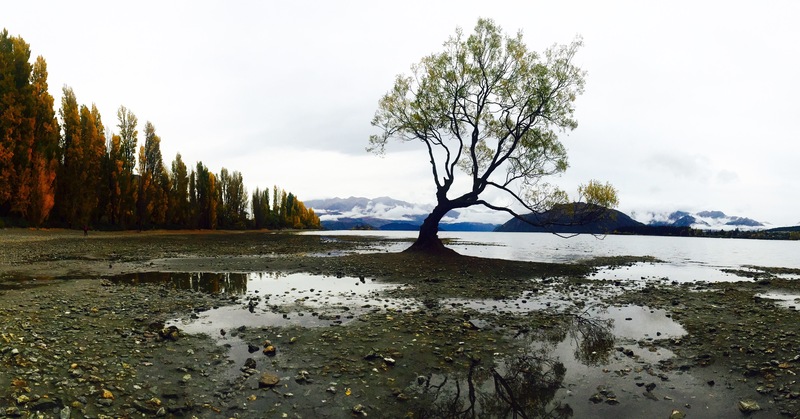 After getting checked in, we went for a walk along the lake front to find the ‘Wanaka Tree’. 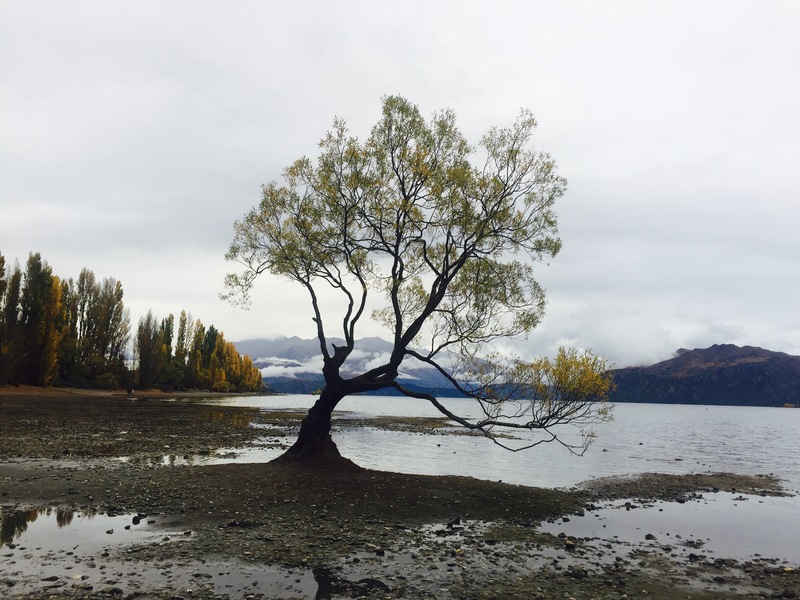 This is a small tree that grows in the lake despite being surrounded by water – or at least that’s what it’s meant to be. When we went to see it though, the tide was out so the tree was actually sitting on a mound of mud instead of in the water. 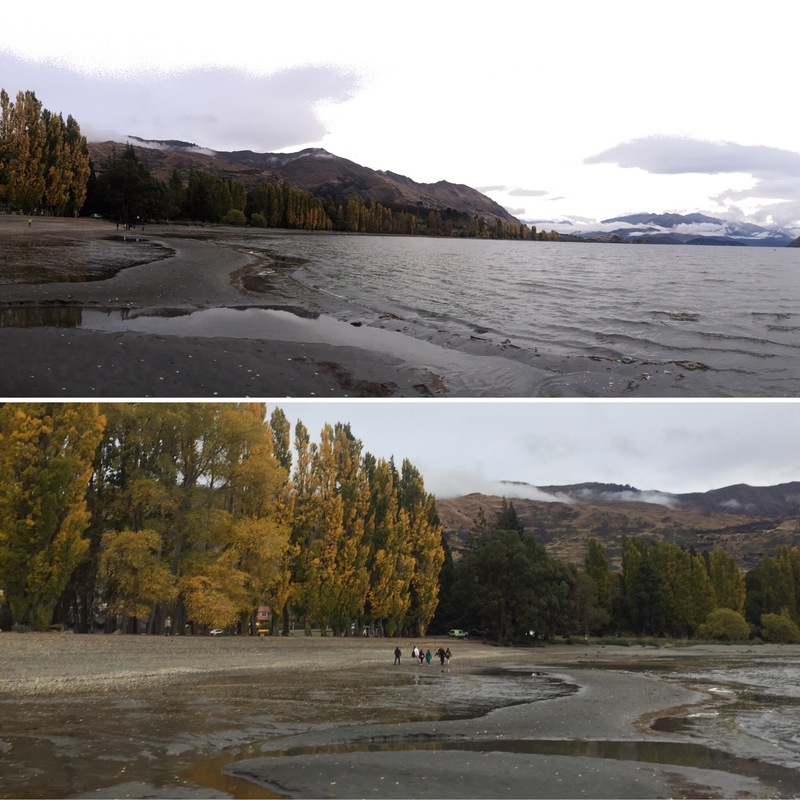 Despite this, it was still really pretty and we all instantly fell in love with the beauty of Wanaka, particularly with the ambers and yellows of the autumn leaves due to the time of year we were there. The whole area is truly beautiful and the photos honestly don’t do the place justice. It would have been great to be able to see it in blue skies and sunshine but the place did still have a charm about it despite having grey skies. We all had tea and then went to the hostel bar for a drink. There was karaoke on and amongst the terrible singers that went up that night, we got to hear the great voice of Keith, one of our group, who sang Chandelier by Sia (if anyone knows this song they’ll appreciate how impressive this is!) It was really good and he got a huge round of applause when he was done – it made sitting through the bad singers completely bearable! We had planned on staying here an extra night but we had been having unpredictable weather and the forecast didn’t look great so we decided to stay with our group and head to Queenstown the next day instead. This would definitely be somewhere I would go back to and it would be lovely to spend a few days here and do some of the nearby walks or take a boat out onto the lake if you had nice weather. The next day we got back on the bus and headed to Queenstown. 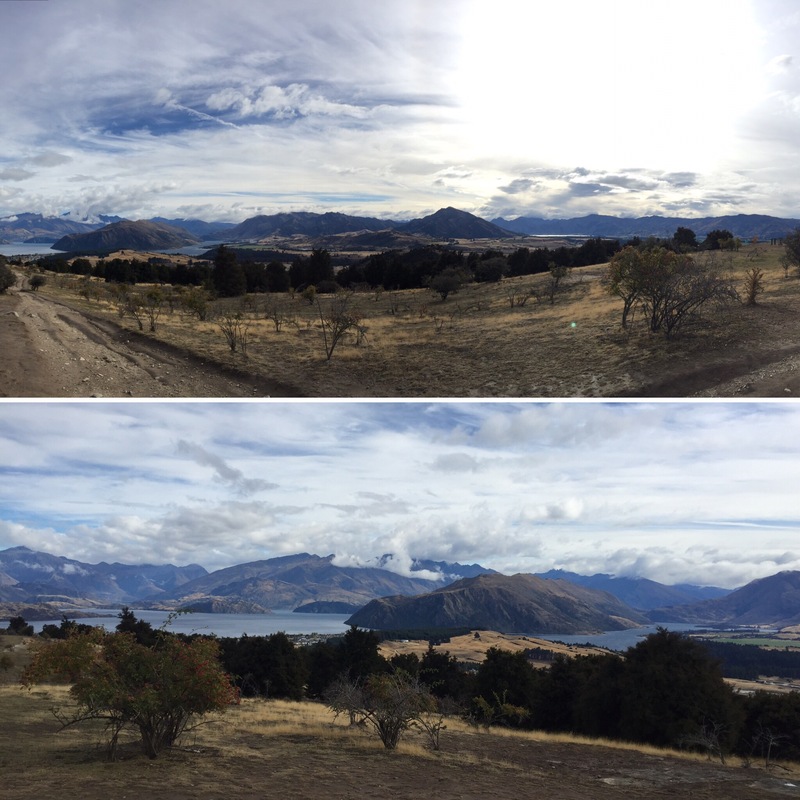 About half an hour into the day’s drive, we stopped at Mount Iron which is just on the edge of Wanaka. Here we were given the option to climb the mountain to see views over Wanaka or explore Puzzleworld (a venue with a range of difficult puzzles and challenges to solve) which was at the bottom of the mountain. We chose to do the mountain walk and, despite what the forecast had said, the sun had come out for us! 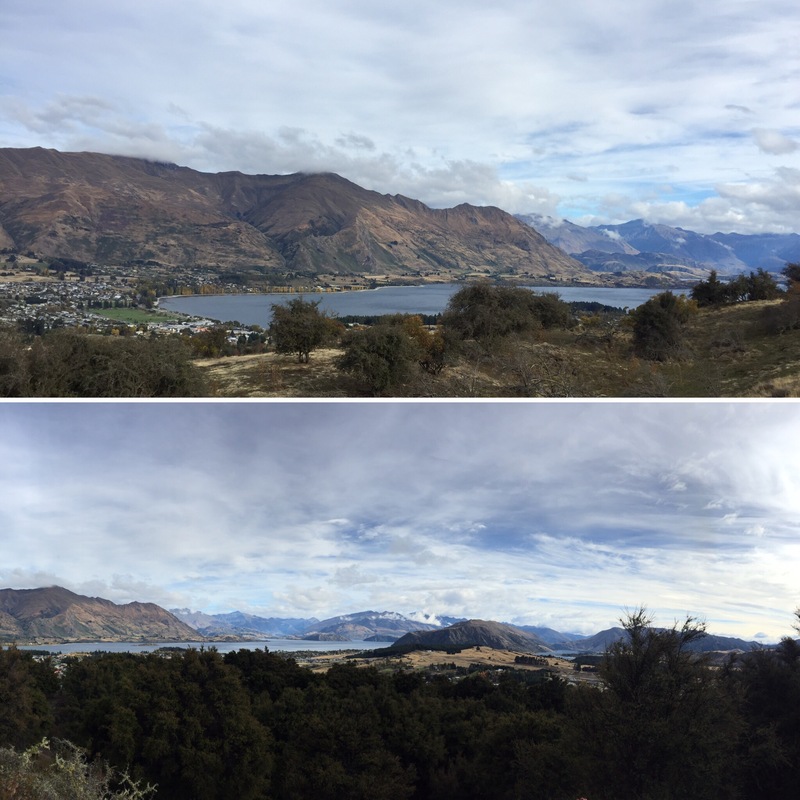 It was a really clear day so when we walked to the top of the mountain, which took around half an hour, we got to see really far out over Lake Wanaka, the mountain ranges and over the town of Wanaka itself. We were both so glad that we got to have nice weather to see the spectacular views Mount Iron gave us and we were really happy that we chose to climb the mountain over visiting Puzzleworld. 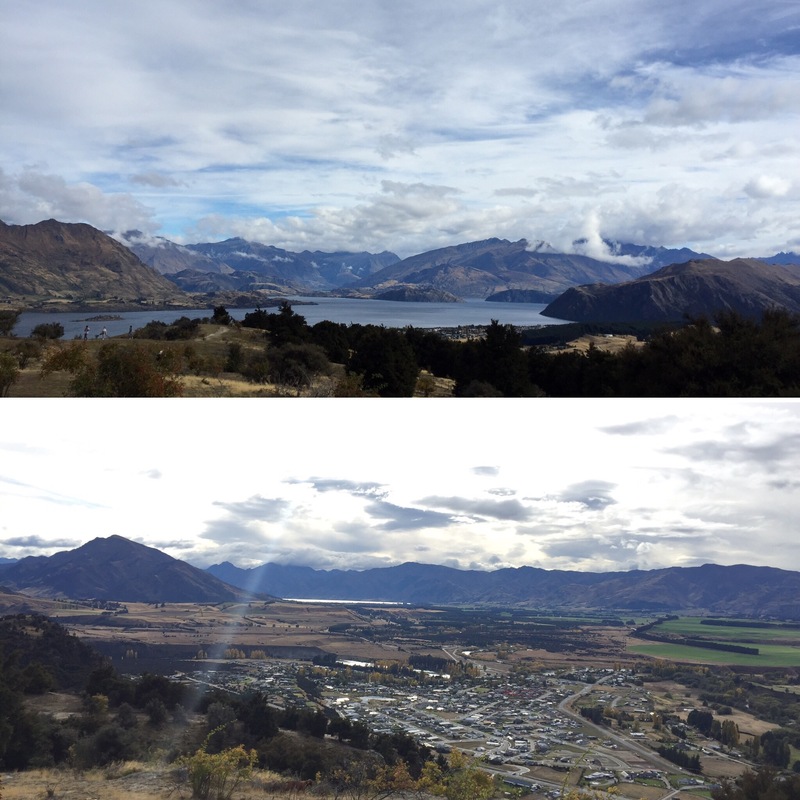 If you do get to go to Wanaka, I recommend walking to the top of Mount Iron as the views really are worth it! 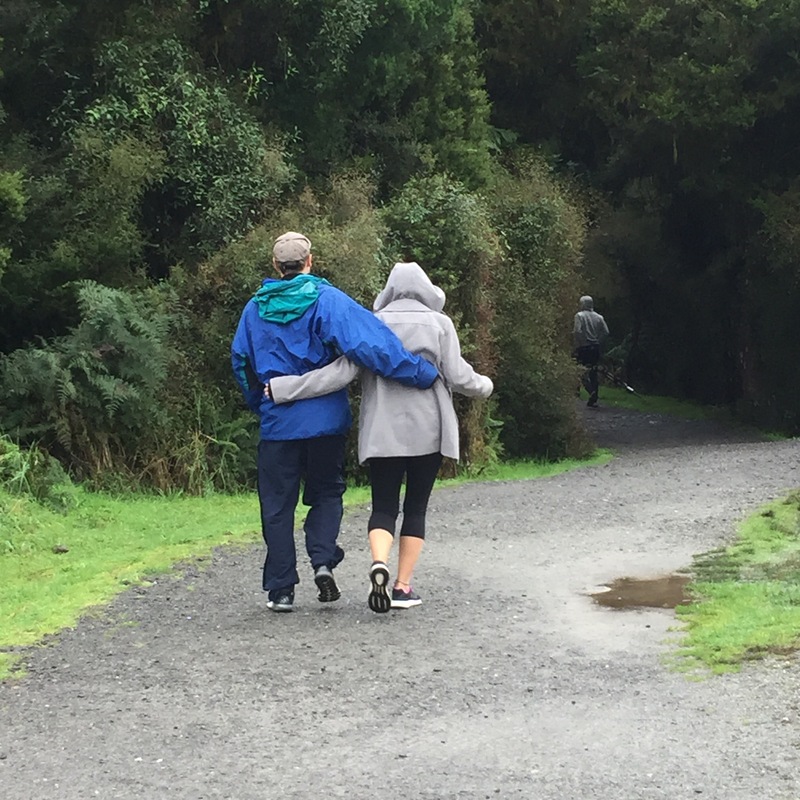 After everyone had returned from walking Mount Iron or had navigated themselves out of Puzzleworld, we carried on our way to Queenstown. 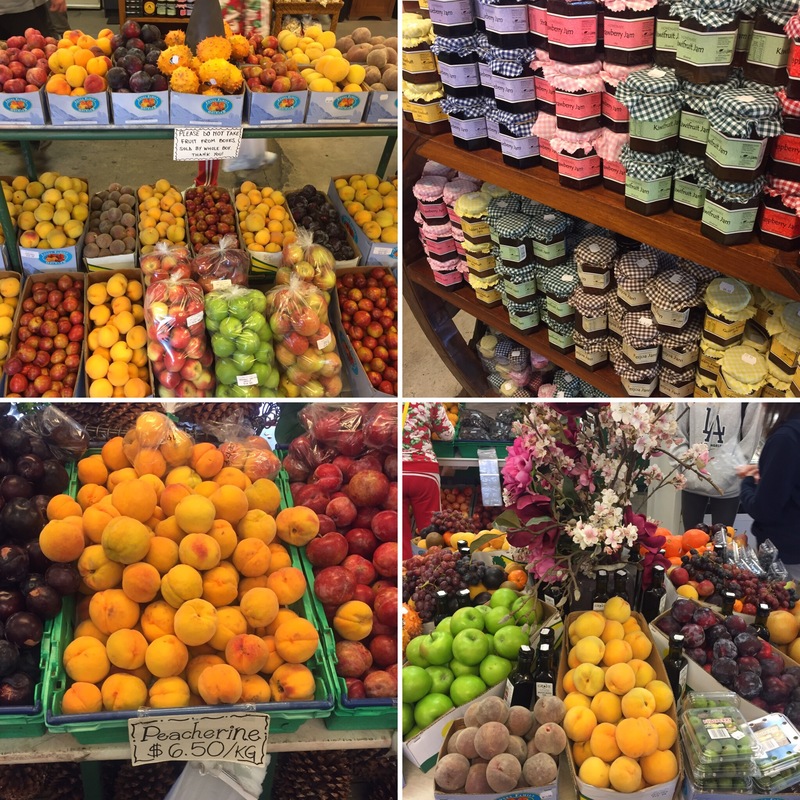 After a while we stopped off at a fruit farm that sold every fruit you could think of. We tried gold kiwis (super sweet and really tasty) and a peacherine which was a cross between a peach and a necterine (it’s good but peaches are nicer). I bought a gold kiwi for Niall and a peach and some grapes for myself but could have easily bought so much more! All backpackers miss fruit as it can be so expensive and is often what you’ll sacrifice buying to save money. Stef and Elle, who we had travelled the north island with, were on the same bus as us and Stef gave Niall and I a type of plum to try that they have in Germany and are used in a pastry dish over there. We had never heard of it but it was really nice so I imagine the desert is too. As it was a much clearer day we got to see a lot more of the beautiful scenery New Zealand is famous for. This also made us more excited to get into Queenstown and we were hopeful that we would get some nicer weather whilst we were there.